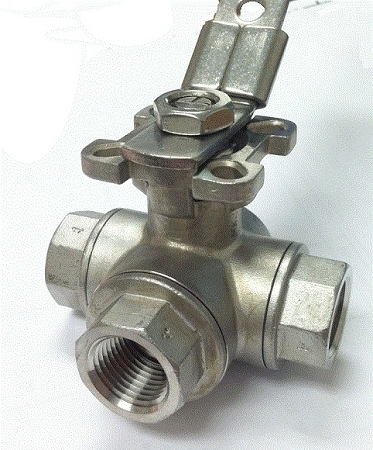 These T Port valves give you a full 360 degrees of flow control. Eliminate a few more connections and time disconnecting and reconnecting hoses with one of these. Heavy duty construction, but leaks out the side port. Installed a few inches above a pump output. Flow direction allows leaking from the port not in use when directed away from that port or when it otherwise should be closed. Not good for a re-circulation circuit. Product is nice, just a little larger than I expected, but that is certainly not an issue, just an observation.